We have made a mistake, one that we have tried to correct. 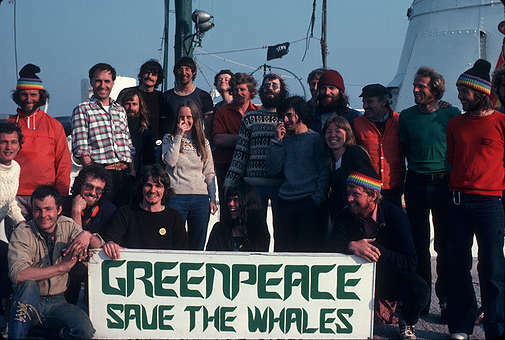 We have allowed the Rongdhonu, formerly the Rainbow Warrior (II), to be scrapped on a beaching yard in Bangladesh, in a way that does not live up to the standards we set ourselves and campaigned with our allies to have adopted across the world. 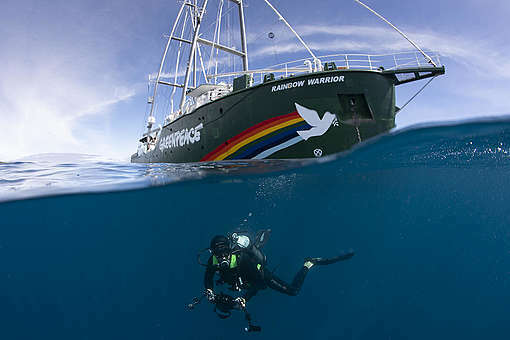 When we transferred ownership of the Rainbow Warrior to a Bangladeshi non-governmental organisation called Friendship, in 2011, the ship was no longer fit to sail the high seas. It was however suitable to be converted into a hospital ship traversing coastal waters and rivers. Renamed Rongdhonu, Bengali for Rainbow, it has since brought vital health care to some of the world’s most remote and vulnerable communities. In that time, it has touched the lives of over 160,000 people. This year the ship, at 61 years old, reached the end of its life. Over the last week we have been talking with both. They maintain, as does the EU and many other leaders in the field, that breaking ships on beaches is fundamentally unsafe, exploitative of workers and damaging to the marine environment. Upon realising our mistake, we began work to try and find an alternative way for the ship to be decommissioned, but this was not possible. The ship was beached and readied to be cut up. We should have examined all options to have the ship decommissioned ‘off the beach’ and in a way that provides guarantees that all wastes generated will be managed in the most environmentally safe way possible. We are now seeking to ensure that specific wastes that cannot be treated safely, ‘downstream’, in Bangladesh can be sent out of the country for management. There is much to be done to protect workers and the environment from the dangers of ship breaking and we regret that having made the mistake sends the wrong signal about the readiness to do so in Bangladesh. 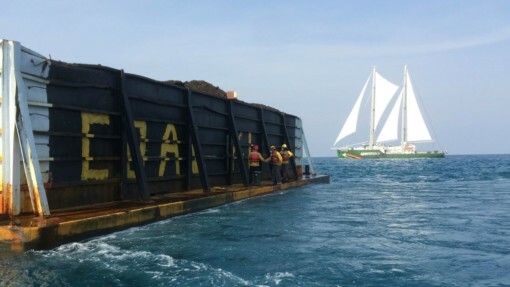 Greenpeace does not believe that breaking ships apart on tidal beaches is green. Going forward Greenpeace commits to urgently adopt an end-of-life ship policy, drafted with the help of the Shipbreaking Platform, to help ensure such errors do not occur in future. For more information on clean and ethical ship breaking see NGO Shipbreaking Platform. 2018 has been an iconic year for Greenpeace ships: the Rainbow Warrior, Esperanza, and Arctic Sunrise. Commercial whaling devastated the world’s biggest whale species, pushing some of them to the very brink of extinction in the first half of the 20th Century. "Our home, community and livelihoods are being impacted by coal, but we don’t feel as though we have a voice in the energy debate"
Not good enough. You need to lead by example. get the ship 'off the beach' and somewhere responsible. did you even know what hazards were on the ship? how much asbestos for example? you admit you anticipated the problem since 'you retained a veto', but then you ignored what you knew. I was really surprised when reading in Robin de Bois´ Newsletter "she was beached for demolition in Chittagong on September 13, 2018 at PHP Family Yard, APPROVED BY Greenpeace as a yard compliant with the Hong Kong Convention." How is it possible that a yard applying the "evil method - beaching" (acc. to NGO Shipbreaking Platform) is found compliant by Greenpeace and now the judgement is turned around as a big mistake? How have you judged and has the ship been prepared for recycling according to Hong Kong Convention (IHM, Ship Recycling Plan....)? Just admitting, that a mistake has been made seems questionable, as a ship is neither prepared nor sold for recycling within a few minutes or by one person. Also the Class of the ship (DNVGL) is highly involved in ship recycling and could have guided the owner. If Greenpeace would be a "normal" commercial shipowner your partner NGO Platform would have requested immediate prosecution and taking back of the ship or whatever is remaining. A proper report on what has been done and an Action plan on how to solve the current situation seems to be the only option to regain trust in the statements with regard to beaching which have been made for so long. Or is this a first sight of recognition of improvements made in these final destinations? If so, this would be even more productiveand provide better guidance to the industry which is left in a vacuum due to the pressure and PR by various political groups. Bonjour Après avoir oeuvré pour que le RW que j avais commandé en 1991 ne soit pas demoli en 2011 et qu'il soit transformé en navire hopital,j ai essayé une nouvelle fois de le prolonger,toujours en navire hopital,mais echoué sur une plage et bien ancré a l'avant et a l'arriere ,d un territoire peuplé de gens pauvres avec un warf de bambou construit a coté.Cela me semblait possible car je connais ce pays.La Directrice Madame Runa Khan que je connais bien, de l'ONG "Friendship" que j avais contribué à créer m'a dit que cette solution coutait trop cher. Your CEO, your COO, your Chief Legal Counsel and your Executive Board need to take a voluntary pay cut to compensate for this ecological travesty. Anything else would be unsatisfactory, an invitation for future similar behavior (balance sheet trumps the environment). Otherwise, your donors need to hold you accountable. Anything else reeks of hypocrisy. I love your comment “exploitative” of workers, yes humans! The west does not care as long as they don’t have to see it. Electric cars the “dirty” filthy secret no one must know is the children in the “Congo” scrabbling to provide the west with cobalt for the lithium batteries, yes the Congo long exploited and must now provide us with so called clean electric cars!! Disgusting, where is the UN? ?